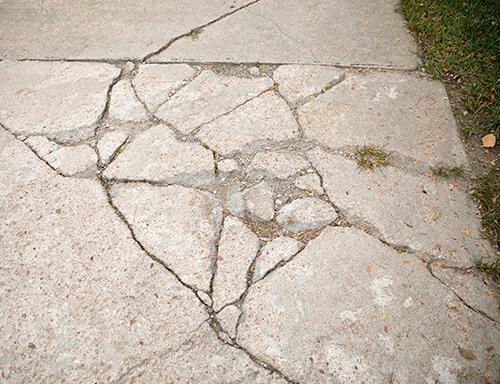 While cracked concrete looks unappealing, not all cracks indicate a major issue. 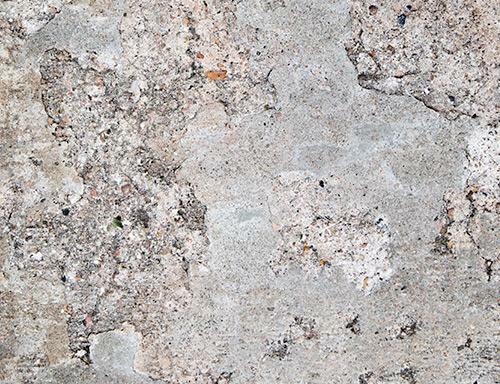 As a versatile, tough building material, concrete can be shaped and formed into anything. But while it is incredibly strong, it is vulnerable to decay and damage like everything else. When concrete structures like driveways and patios start to sink, break, become cracked, pitted, flaked, or stained, understanding the root of the problem is important. With the right products, materials, and the experienced crew from Redeemers Group, we can restore damaged concrete and protect it. Call us today at 1-833-584-1049 or click below to get a free concrete repair estimate in Memphis, Little Rock, Southaven and the nearby areas. Poorly compacted soil: During the initial construction of your home, soils around the building site were moved, which resulted in poor compaction. The soil is often replaced and compacted but is never as stable as the original soil. Since this new soil is looser, voids will eventually form and will cause slabs to settle. Dry soil: Dry conditions, periods of warmth, low precipitation, and drought are another cause of concrete damage. When dry soil shrinks, voids are created, which causes concrete to sink into those empty spaces and crack. Flooding: After cracks formed from the dry period and precipitation returns, water will find an easier path under slabs. The wet, soft soil will be too weak to support the concrete. Or worse, the soil can erode or wash away, leaving behind even larger voids that cannot support the slab. When the top layer of concrete flakes away, the surface is left patchy and pitted. While concrete is tough, it is greatly susceptible to moisture. With untreated concrete, moisture seeps into pores, freezing and thawing as temperatures fluctuate, expanding as trapped moisture becomes ice. Expanding moisture destroys pores which weaken the structure as a whole, cause it to pit and flake. Also, because of these pores, concrete is also vulnerable to staining if left untreated. Homeowners often worry about the concrete on their land and forget to see what is beyond their property line. Do not forget about slabs on the street that can go past your house. In colder months, street slabs contract, opening the joints between them and once they become filled with debris, they will not be able to compress during the warmer months. Expansion pressure will build with nowhere to go but your driveway, causing "street creep." Whatever your concrete problems are, Redeemers Group has effective solutions. We can repair settlement, sinking, and cracks. Call 1-833-584-1049 or click below to schedule a free assessment, where we will recommend the best solution for your driveway, patio, or any concrete slab that needs repair and offer a service estimate. in Memphis, Little Rock, Southaven, Cordova, North Little Rock, Germantown, Jonesboro, Collierville, Conway, Hot Springs and the nearby areas.